My oven broke just before Christmas and with the help of family and friends, I bought a new one from Ikea last weekend. Covering them was very tricky as the fondant kinda pleated itself at the bottom. I managed to "hide" the messy bits the beige tummy. 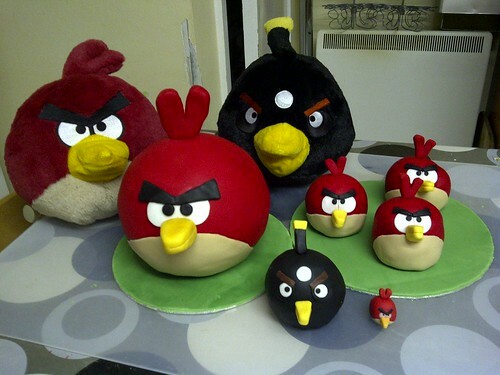 I've decided to take the Big Angry Bird to work for them to eat and I made some mini ones for my husband, best friend & a special black on for my son as it's his favourite one! 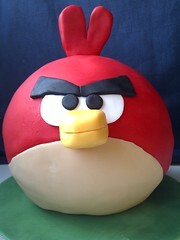 Update: The cake arrived at Rovio and they loved it. 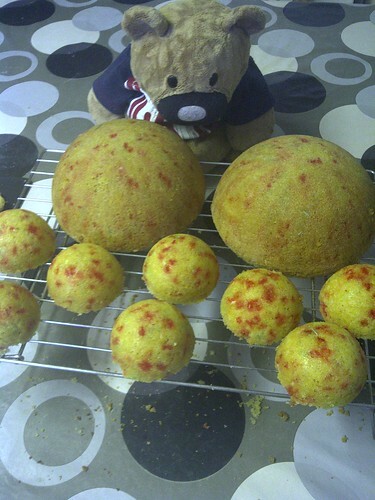 Pockelint wrote an article about my cake and my local cake suppliers Craft Company also sell the Wilton Sport Ball Tin. This is awesome. 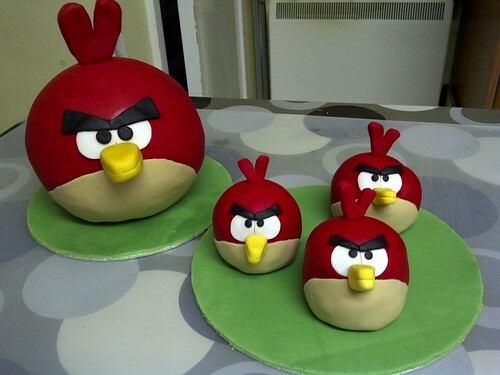 Before I found you, I bought the Wilton sports ball cake pan to try to make this. Can I ask how you did it? I am having an issue just getting it to no slip after I put it together. The butter icing inside was enough to stick it together I also scooped out a bit in the centres. You could use plastic drinking straws to hold it together.